We, Ultra Febtech Pvt. 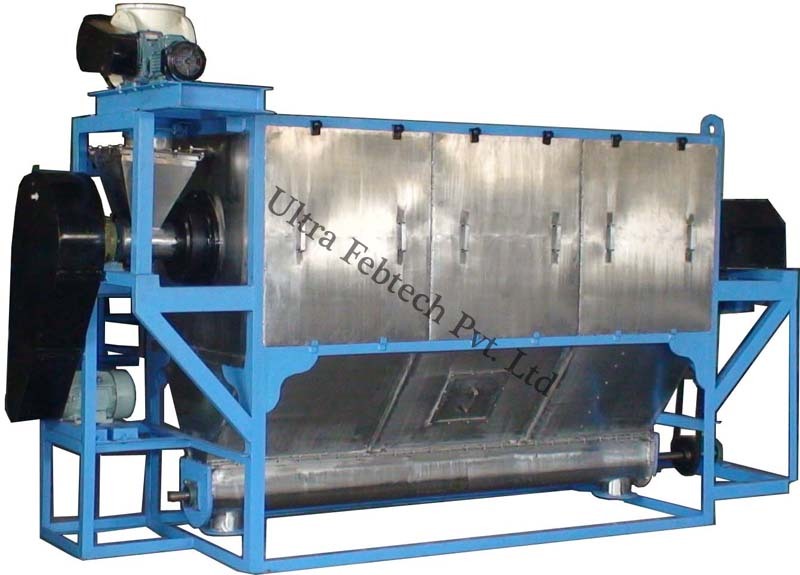 Ltd. company make different types of screening equipments to screen the materials as per requirements. It is a specifically developed machine for screening jobs of continuous type. 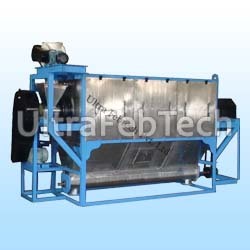 A rotating screen with simultaneous rotating paddles inside which accelerates material for faster screening operations. A brush is also provided for cleaning the surface and enabling removal of choking incidents. High efficiency vibratory separators, available in size from 24” to a large one 72” in diameter; Creative design features maximize screen utilization, efficiently handle widely varying feed rates and consistencies, increase throughput and prevent blinding. One to multilevel screen surfaces yielding the desired number of predetermined fractions with accurate separations in various mesh sizes. The equipment also can be supplied with dust cover and other special auxiliaries. Material of construction will be choice of customer and largely to depend on the application.